Seventh day of Christmas - a little bit of heaven! On the seventh day of Christmas, imagine clear blue skies and azure sea and you've got the backdrop for one of the world's garden paradises - Menton in the south of France - complete with its own microclimate and some of the most unusual gardens in Europe. I love this place! 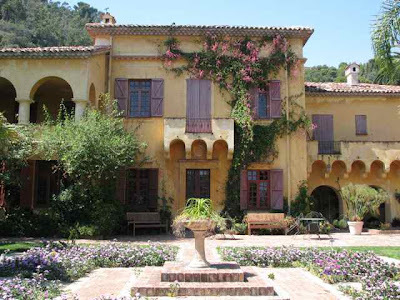 It's away from the hustle and bustle of the Cote d'Azur and it is peppered with hidden and majestic gardens including Val Rahmeh and Serre de la Madone. 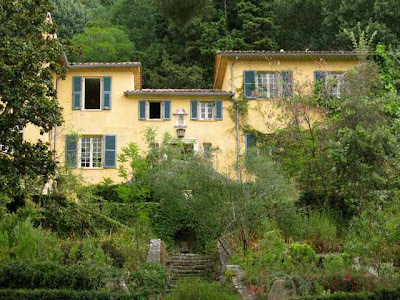 Serre de la Madone (above) is the hidden home of Lawrence Johnston (creator of Hidcote in the UK) and is currently undergoing renovation. 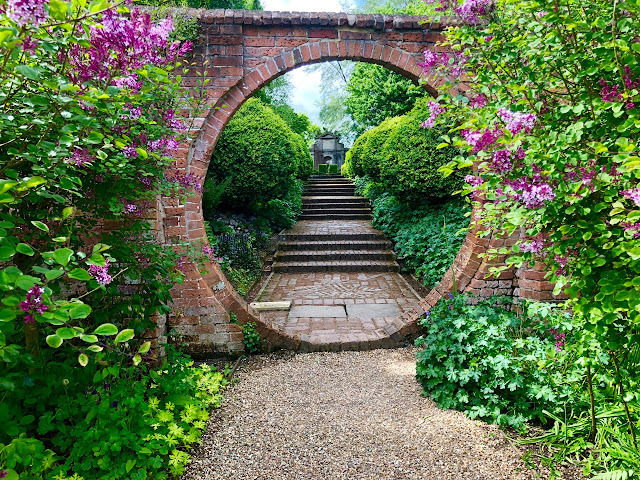 UK readers may want to take a look behind the scenes in this month's issue of Gardens Illustrated, to see how "The other Hidcote" is progressing. 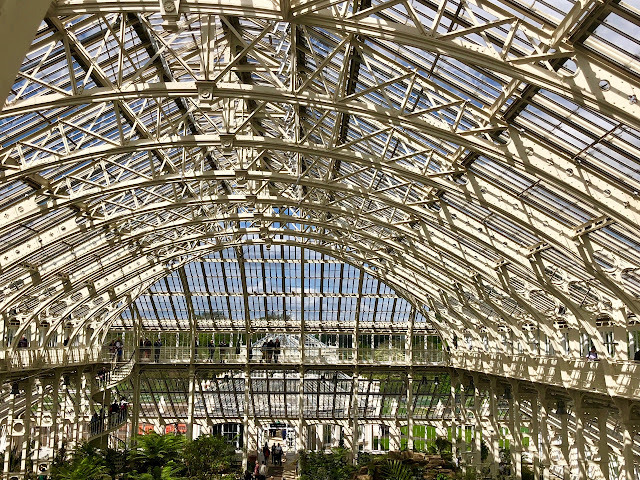 It's a wonderful garden, which fell into complete disrepair in the 1980's, but is now the focus of an ambitious and exciting restoration project. But I'm truly delighted that I got to see it before it rises like a phoenix from the fire, because it had a certain charm in its run-down appearance, and best of all, there was not a soul to be seen anywhere. (For a full review of my visit last July, click on the link above). Neighbouring Val Rahmeh is another of my favourites. Another glorious Riviera property overlooking Menton's azure sea, and filled to bursting with fantastic plants that thrive in this microclimate. This was home to Sir Percy Radcliffe - an eccentric plant-collector, who travelled the world collecting new specimens - and is very different in character to Serre de la Madone with it's sweeping terraces and wonderful views of the Mediterranean. 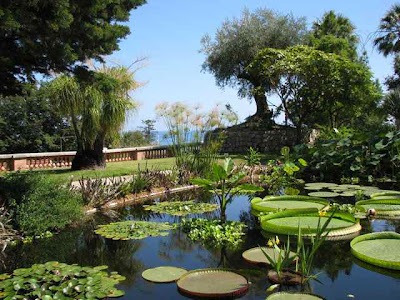 These two gardens are just the tip of the iceberg here in the South of France - you could easily base yourself on the French Riviera for a week and take in the other marvellous gardens in the area, including Giardini Botanici Hanbury in Ventimiglia, Villa Ephrussi de Rothschild in Cap Ferrat and all the wonderful gardens in Monte Carlo. 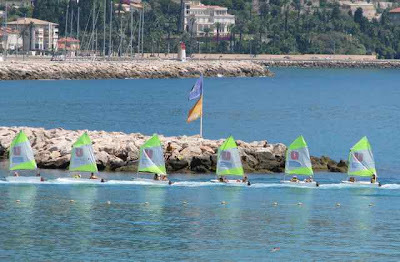 But my strong recommendation is to stay in Menton - it's a delightful place, where you can hide away, relax and enjoy all the incredible gardens at your leisure. And a very Happy New Year to you ! I'm hugely enjoying the compilation. Thanks for sharing ! What a beautiful place. 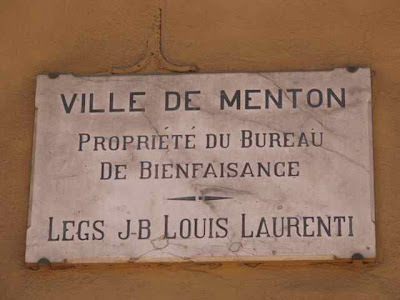 I am so glad they are restoring it. The giant lily pads always amaze me every time I see them. Happy 2010 to you and Happy Traveling. I really enjoy your blog and appreciate all that you share. You have seen some beautiful places.. Happy New Year. 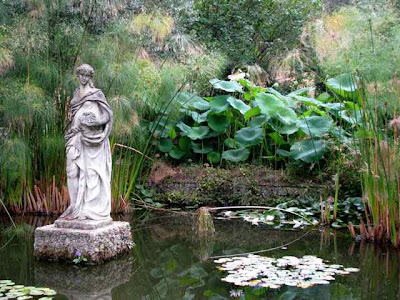 I love the picture of the pond with the giant lily pads and papyrus. Beautiful! Happy New Year. I love visiting your blog and seeing these wonderful gardens. Charlotte, your blog is such an inspiration to me. Best blog! The lust list for one day, gets longer and longerer.